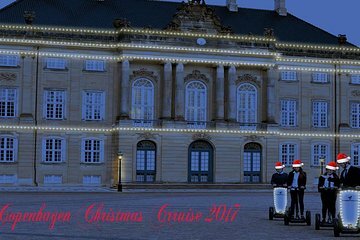 Save time and see more of Copenhagen on this combination sightseeing and Christmas market Segway tour. Cruise through the city's streets, taking in the main sights as your guide provides insights into each, then pull up to a Christmas market around Nyhaven to roam around the seasonal stalls. Operates in all weather conditions, except if it poses a hazard, please dress appropriately. We strongly recommend warm layers and gloves. No high heels. Please note you must arrive 15 minutes prior to your departure time for check-in and training. This is very important.